Whether waking up first thing in the morning or just having a drink to help get through the day, enjoy top quality coffee made easy, with the De’Longhi EC860 Coffee Machine, the Italian Coffee.. 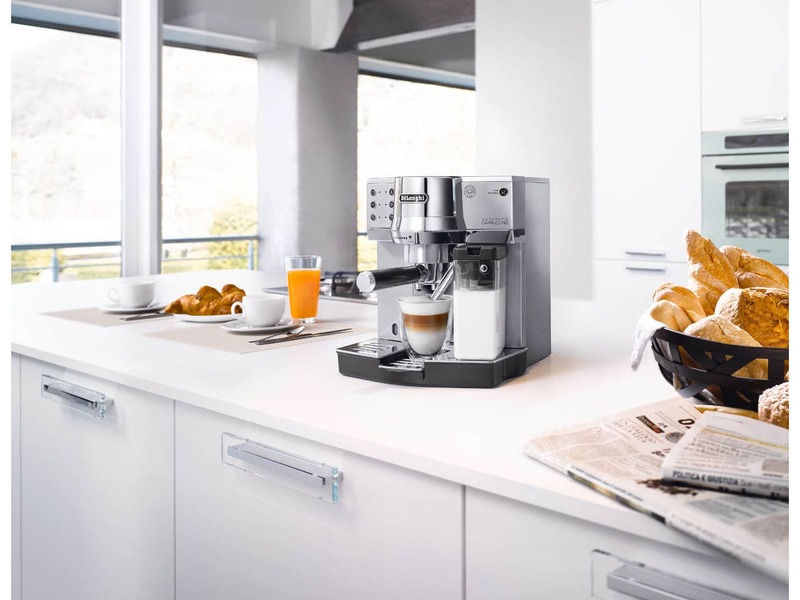 Traditional espresso craftsmanship meets innovative one touch cappuccino with the De’Longhi Dedica Cappuccino. Enjoy authentic Italian barista quality espresso drinks; single, double espresso, cappuccinos or lattes. 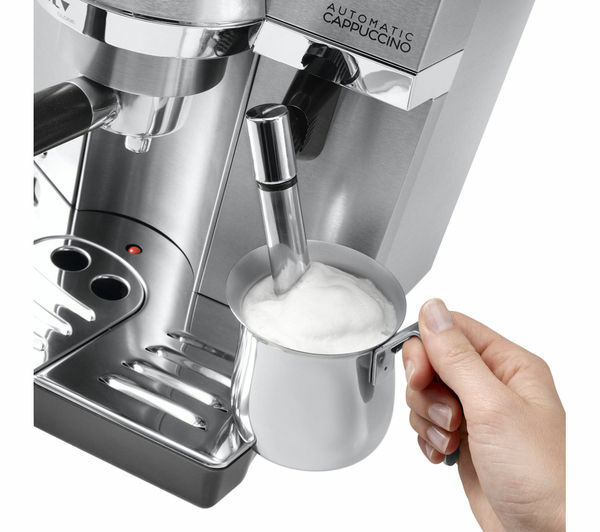 The dual thermoblock system guarantees an optimal brewing temperature for cappuccinos and espressos and the integrated milk carafe with clean function produces steamed milk for lattes and frothed milk for cappuccinos. The easy to use control panel features 4 pre-programmed drink buttons that can also be adjusted to your personal taste. Add a touch of unmistakable Italian style with the Dedica Cappuccino: premium stainless steel exterior with a timeless design. A 1 litre reservoir stores plenty of water and provides the capacity to deliver approximately 6 cups. A traditional milk frother provides the option of luxurious and creamy froth when you want it and an adjustable coffee dispenser means you can use glasses up to 10 cm in size. A self priming system means the EC860.M is always ready to use and with an auto stand-by function and a better than Energy Class A eco mode, you can make sure you’re saving money on your electricity bills, as well as respecting the environment. Free delivery within Colombo area (Terms & Conditions Apply).